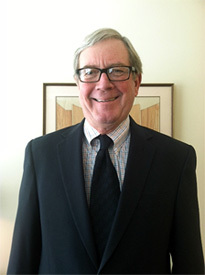 Professional Experience: Judge Barrett received a law degree from the University of Utah College of Law in 1973. He was an Assistant Attorney General from 1973 to 1979 when he joined the law firm of Marsden, Orton and Liljenquist where he had a general civil practice. In 1984 Judge Barrett joined the law firm of Kipp and Christian P.C. and litigated various cases for both plaintiffs and defendants, in areas of professional liability including medical, accountant, architectural, legal malpractice, insurance coverage issues and personal injury in state and Federal Courts. In 1996 he was appointed as a District Court Judge in the Third Judicial District presiding over major civil and criminal cases, both bench and jury trials. Retired as an active District Court Judge on November 1, 2012. He will start as an active senior Judge on November 1, 2012. Federal District and 10th Circuit Bar, 1973 to present. Associate with the American Board of Trial Advocates. While an active district court Judge he served on the Online Court Assistant Program Policy. He was also a member and chair of the Board of District Court Judges, the associate presiding Judge in the Third District Court. In addition he served on the Judicial Council completing his term in September 2008. Presently, he is on the Model Utah Jury Instruction Committee.